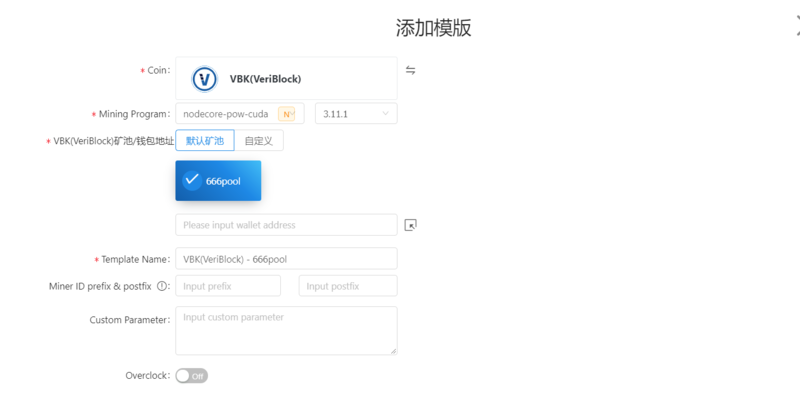 VeriBlock is a solution to protect other secondary blockchains through BTC network hashrate, which can effectively help other blockchains to withstand 51% power attack and double spend attack. VeriBlock uses the PoW/PoP consensus mechanism to support GPU mining. Input “getinfo” and press enter button. The digits starting with “V” after “address” word is your wallet address. Copy this wallet, note it and keep it safe. 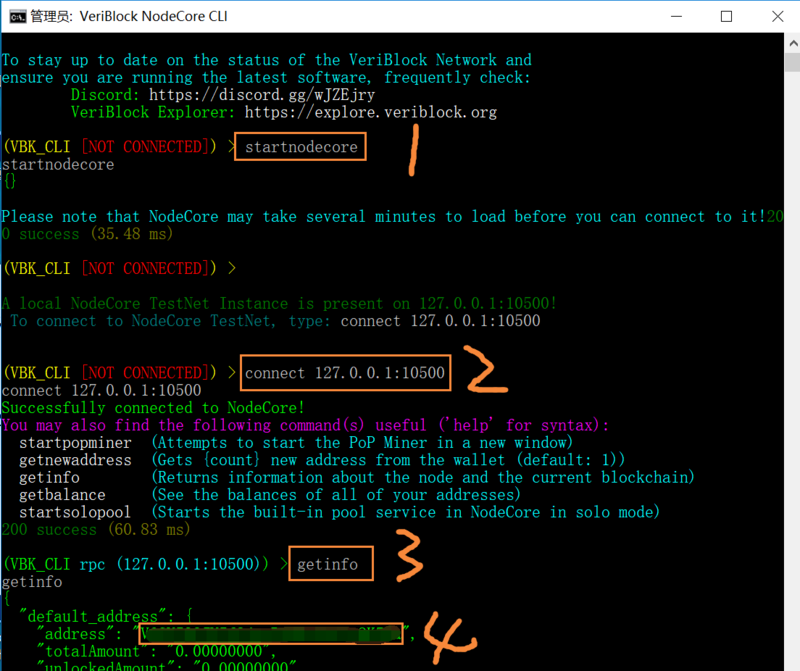 Notice: Your wallet file is in nodecore-0.4.1\bin\mainnet\wallet.dat. Please keep your “wallet.dat” file safe in case of recovering or remote recovery. F2Pool has helped miners to setup the batch file. The default pool is F2Pool. Miners can conveniently just change the wallet address inside to your own one, then save the file and start mining. Miner OS: https://www.mineros.cn/index.php/zh/ Miner OS is a GPU miner management system based on Linux, supporting cloud batch to manage miners. The system ROM supports U disk and diskless installation, and built-in third-party original mining softwares such as Claymore, Bminer, ccminer and EWBF. 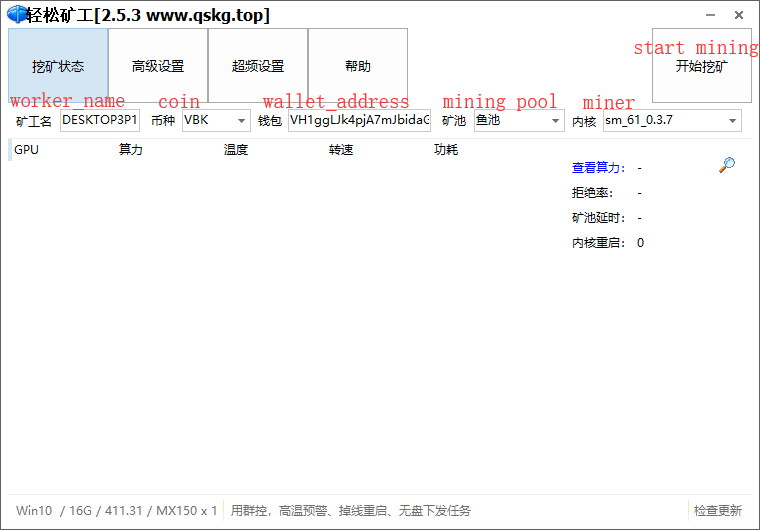 Easy miner: http://www.qskg.top/. Support 60+ currency, switch mine pool, currency, wallet in one-click; upgrade kernel, software and driver in one-click; one-click overclocking. Minerbabe OS: https://www.minerbabe.com/. is a mining machine management system developed on the basis of Linux system, which is deeply customized for the graphics card mining machine. 4.1.1 For miners who have never installed minerOS, please go to minerOS official website and sign up a minerOS account. Miners who have already installed, please skip this step and update your software to the version which is not less than 1.7.0. 4.1.2 Prepare a U-disk with 16GB memory or the mobile hard disk, and download the no less than V1.1.6 burning tool. 4.1.3 Double click to install after finishing downloading, the burning tool will come out after installing. 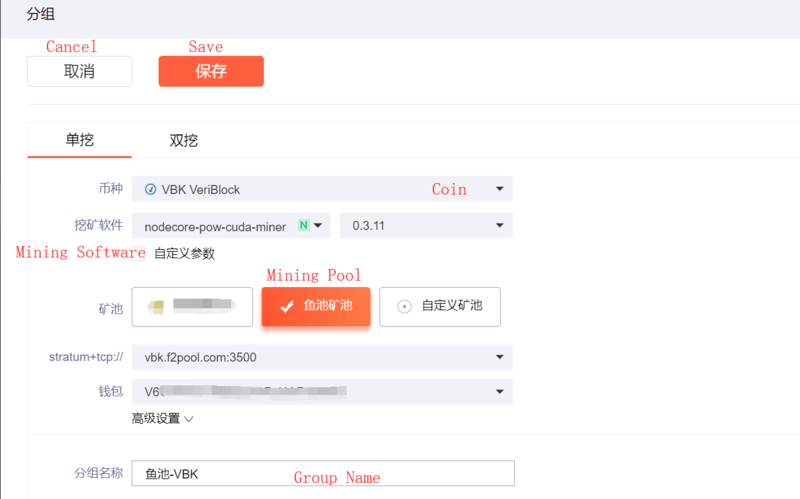 4.1.4 For the new miners, please choose “新手刻录“, input the registered minerOS account and password, choose the GPU type, version, and the U disk needed to be burned, and it will complete after a few minutes. 4.1.5 Insert the burned U disk or mobile hard disk into the mining machine. After the miner is turned on, it will automatically activate to the minerOS account just registered. You can log in to the minerOS to operate the mining machine. 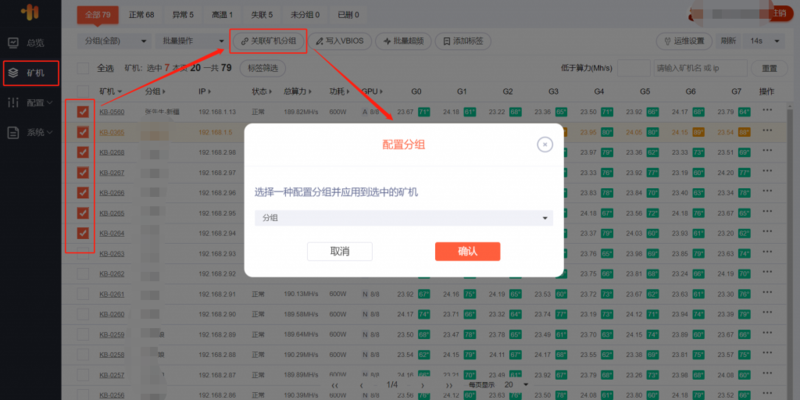 It is the installation outline above, for more details about minerOS please consider,Please notice: the version of burning tool in this link is too low, please consider the link in our tutorial. Wallet address: Input your own wallet address. After completing the configuration, the created template will be shown in the mining template list. Configure the created mining template to the host. Click on “Host” in the left navigation, find the mining machine to be configured in the list, in the “Operation” column, click the “Configure and Restart” button to enter the next page. On the current operation page, select the mining template you just created, click “OK”, and click “Yes” in the pop-up dialog box. After the configuration is completed, mining will be started. Obtain the software, install and start it, and go to the configuration page. After the information is verified, click on the “Start Mining” button in the upper right corner to start mining. Obtain the software, unzip it and find the “start.bat” file. Right click on it and choose “Edit”. Input the parameters as below in the following page. If using F2Pool version software, miners only need to replace the wallet address, then save the file and start mining. If using the original one, it is needed to create a batch file yourself by referring to the above command. Notice: Worker number can not be created through this version. After the information is verified, save and exit the “start.bat”file, then double click on it to start mining. “-d” stands for the specific GPU. If there’s 6 GPU, please configure “-d 0,1,2,3,4,5”. Mining system requires V 4.11 version or above. Click on “Group”, ” Add new group”. Mining software: Choose by considering the GPU card type. Setup the group name, then save to complete the configuration. The hashrate data shown in the miner page, proves that the mining machines are mining normally. 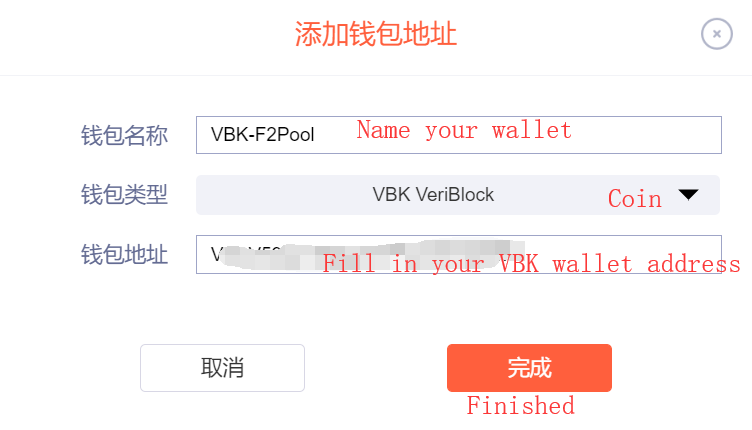 VBK has officially launched on F2Pool!